John Barkley, who is Johnny B., is from Lincolnton, North Carolina and has been in the deejay business since 1981. First radio job came in 1981 when Mick Caskey ask me to join him and co-host The Original Sea Cruise at 1050 AM WLON Lincolnton, NC. I also began my mobile deejay business at that time. My first club job was “Pour Normans” inside the Holiday Inn Lake Norman 1-77 exit 28. In 1988. I joined Beach 106.5 FM WRDX. I was “ON AIR” on Sunday’s 8 am – 1pm. The show was titled “Sea Cruise” with Beech Boys John & Mick.. I left there in 1991 and returned to WLON in Lincolnton. WLON had teamed up with three other am stations. 730 AM WOHS Shelby, 1450 WGNC Gastionia & 1590 WCSL Cherryville. The Piedmont Superstations Radio Network. Hosted a show there “Sea Cruise” Saturday’s 9 am – 1pm. In 1996 that show was nominated for a Carolina Beach Music Award I left there in 1995. In 2008 John received an “Appreciation Award” from the Carolina Beach Music Academy for his contributions to the music. 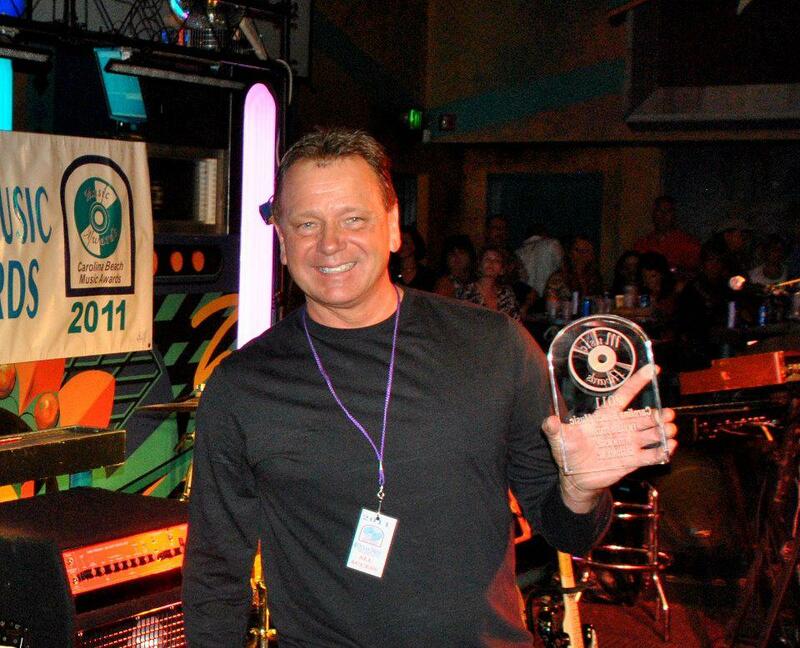 In 2009 Johnny B was nominated for Mobile/Club Deejay Of The Year by the Carolina Beach Music Awards Academy. In 2010, 2011 & 2012 Johnny B was nominated for Mobile/Club DJ, FM Radio DJ and Radio Show Of The Year..I join Gaston College radio 91.7 FM WSGE in 1995 as a volunteer broadcaster. I am currently “On Air” at 91.7 FM WSGE Saturday’s 9 am -1 pm. The show is titled the Carolina Beach Party with Johnny B & Tiny (Mike Feimster). The Mobile Entertainment Service was started by John in 1981. His performances have taken him from Columbus, Ohio to Nashville, Tennessee to Fort Lauderdale, Florida and various locations in North and South Carolina. Johnny B has co-hosted such greats as Clarence Carter, Percy Sledge, Sonny Turner (Platters), Archie Bell, Maurice Williams, William Bell, Chuck Jackson, Little Anthony & The Imperials, Candi Staton, General Johnson, The Tams, The Platters, The Clovers, The Embers, Atlanta Rhythm Section, Marshal Tucker Band, Poco, Bad Company and Little River Band as well as many other great beach and top forty groups. His style of music and entertainment has allowed him to perform for the National Drug Enforcement Association (DEA) in Deerfield Beach, Florida; Federal Anti-Terrorist Conference in Asheville, North Carolina; National Honor Society in Nashville, Tennessee; Eastern Hurricane Conference in Atlantic Beach, North Carolina and has performed at many other corporate events. Johnny B’s Mobile Entertainment Service performs at all types of events such as wedding receptions, conventions, corporate parties, festivals, birthday parties, school functions, reunions, teen dances, pool parties, clubs, alive after five or any occasion for celebration. His music selection consist of over 175,000 songs of current dance and party music along with hits from the 50’s, 60’s, 70’s, 80’s, 90’s, 2000’s including Rock & Roll, Top Forty, R & B, Hip Hop, Country and Beach/Shag. As a member of several weekly CD Clubs, Johnny B is able to provide the newest and most popular music available as well as the classics. Johnny B’s Mobile Entertainment Service uses only the highest quality sound system available. The CD players, mixer, sound processors and power amps are mounted and transported inside of factory built road cases. No unattractive wires for your guest to observe. Johnny B uses the latest computer deejay software to play the music. This software allows him to find songs quickly so he is able to spend more time interacting with guest. Johnny B carries a back up computer with the deejay software loaded just in case of an emergency. The light show consist of various type lighting effects that can turn any function into an unforgettable party that guest of all ages will enjoy. For more information about Johnny B’s Mobile Entertainment Service. Please contact John Barkley 704-732-9633 office, 704-742-1008 cell.